Jill Tarter: Are We Alone In The Universe? Astronomer Jill Tarter explains why searching for cosmic company is important to the human race. < Are We Alone In The Universe? When did you first start looking at the stars? JILL TARTER: I got fascinated by the stars when I was - oh, about eight years old. RAZ: Before we keep going, can you introduce yourself? TARTER: Sure, my name's Jill Tarter and I'm a radio astronomer. RAZ: Okay, thank you. Please continue with the story. TARTER: We'd go visit my aunt and uncle on the Keys in the west coast of Florida. And it's really dark there, and I'd walk along the beach at night with my dad and he'd show me the constellations, and I'd look up and I - I don't know, it just seemed to me that up there, looking at those stars, that there was probably another little creature walking, or scurrying, or moving along an ocean beach on their planet, seeing - seeing our sun in their sky as a star, and wondering what was out there, just the way I was wondering what was out there. RAZ: Do you still wonder that? TARTER: Of course. That's the greatest thing about being a scientist and an astronomer - is that you never have to grow up, you never have to stop asking why. You get to pose questions and try and find answers. RAZ: And that's exactly how Jill opened her TED Talk. TARTER: We actually, as humans, have this very, very intimate connection with the cosmos. If you think about the molecules of hemoglobin in your blood, there's a lot of iron there, and that iron - in the hemoglobin molecule was created - it was manufactured in nucleosynthesis. Inside a massive star that blew up statistically about 8 billion years ago. So inside you are the remains of a stellar explosion. RAZ: Stardust, in our veins. TARTER: Absolutely, you are made of stardust. Everything that we know of is made of stardust, and without the stars, and without the long history of the universe evolving to form galaxies and stars, there wouldn't be us. If we got that concept in our minds - that we're made of stardust - and we could take a few moments in our day to think on that cosmic scale, to sort of step back and take a look at the big picture, to see that Earth is just one tiny, little planet in the corner of one small galaxy in a very, very big universe, I think that would help us to understand that really, all of us here on earth, we're all the same when compared with something else out there in the cosmos. RAZ: For about a decade, Jill Tarter ran SETI, it stands for the Search for Extraterrestrial Intelligence, and the scientists at SETI have been listening to signals from outer space since the mid-1980s. They've been listening for anything out there, hoping that someone or something might be trying to reach us. TARTER: SETI doesn't presume the existence of extraterrestrial intelligence, it merely notes the possibility, if not the probability in this vast universe, which seems fairly uniform. The numbers suggest a universe of possibilities. Our sun is one of 400 billion stars in our galaxy, and we know that many other stars have planetary systems - we've discovered over 350 in the last 14 years - and if even all of the planetary systems in our galaxy were devoid of life, there's still a hundred billion other galaxies out there, altogether 10^22 stars. RAZ: An impossible number to comprehend, the number one followed by 22 zeros. That's how many possible stars could be out there. So if the odds seem to favor the possibility that there is something out there, how's the search coming along? More from Jill Tarter in a moment, I'm Guy Raz. We're peering into space looking up at the wonders above us here on the TED Radio Hour from NPR. Stay with us. 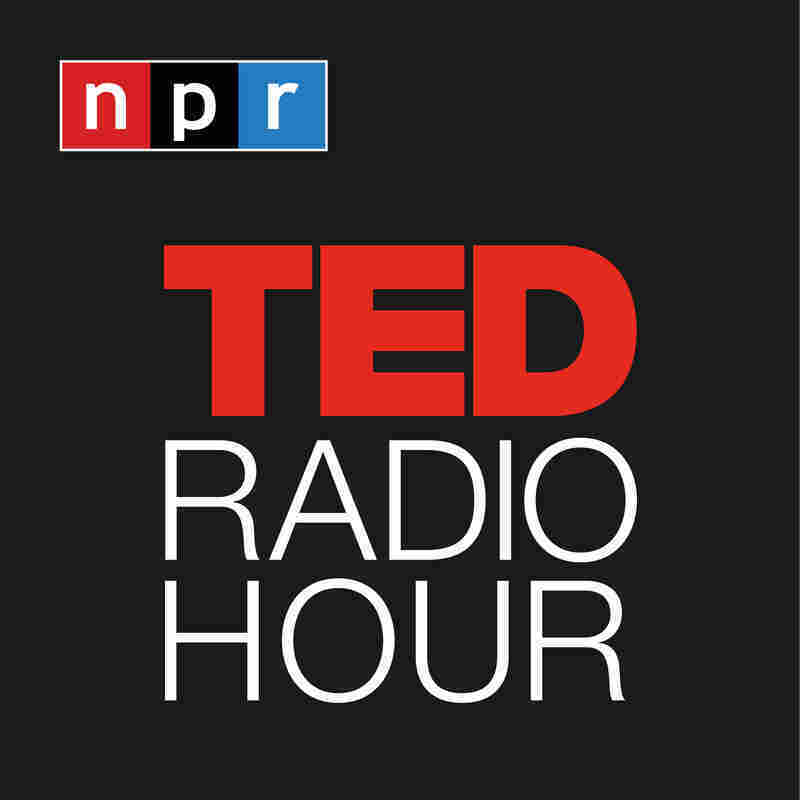 RAZ: It's the TED Radio Hour from NPR. I'm Guy Raz, and on the show today, we're peering into space, looking at the wonders right above us. As we've been hearing, astronomer Jill Tarter has been trying to find the answer to the question: Are we alone? I mean, there must be life out there among the billions of planets and galaxies in our single universe, right? TARTER: As a scientist, I can't say there has to be; it is possible that we are singular. That in all of this vast universe, the only place that the laws of physics and chemistry created creatures who can look up and wonder where they came from, is here on Earth. Statistics would argue against that, but we don't have the evidence, and that's what this Search for Extraterrestrial Intelligence, SETI, is all about. Let's look, let's do an experiment, let's do an observation to try and answer this question. RAZ: But, I mean, we've been sending signals out there to them for a long time, right? TARTER: Radio broadcast, television leakage, radars - this kind of signal has been leaving the planet unintentionally - roughly a hundred years. TARTER: So there's a noise bubble, with the Earth at its center, that is getting bigger - one light-year every year, it grows in its radius. RAZ: What if some - some kind of intelligent life has actually been sending us signals, you know, like we're receiving them and we just don't have the technology to detect those signals. Is it possible - is it possible we're looking for the wrong thing? TARTER: Oh, yeah, unfortunately, that's absolutely possible. Suppose they're sending us zeta rays. We don't know what zeta rays are but perhaps there's something - physics that we don't yet understand, technology that we haven't yet invented - that is absolutely perfect for interstellar communication, but we're just too primitive to know about it yet. So what should you do? Should you just stop what you're doing? Stop using the technology you have? No, I don't think so. I think at any moment you should do what you can with the technology you have in hand, and then figure out how to survive, how to stay around long enough as a technological civilization until you do detect zeta rays. TARTER: Even our nearest star, the sun, its emissions suffer the tyranny of light speed. It takes a full eight minutes for its radiation to reach us, and the nearest star is 4.2 light-years away, which means its light takes 4.2 years to get here. And the edge of our galaxy is 75,000 light-years away and the nearest galaxy to us, 2.5 million light-years. That means any signal that we detect would have started its journey a long time ago. And a signal will give us a glimpse of their past, not their present, which is why Phil Morrison calls SETI the archaeology of the future. It tells us about their past, but detection of a signal tells us it's possible for us to have a long future. Over the millennia, we've seen where tribalism leads. We've seen what happens when we divide an already small planet into smaller islands, and ultimately, we actually all belong to only one tribe - to earthlings. And SETI is a mirror, a mirror that can show us ourselves from an extraordinary perspective, and can help to trivialize the differences among us. If SETI does nothing but change the perspective of humans on this planet, then it will be one of the most profound endeavors in history. Thank you. RAZ: There's this idea that, if we find life elsewhere, that we here on Earth wouldn't feel so lonely. TARTER: I don't have that sense of loneliness. I only have a sense of wonder, and wanting to know the answer about whether the laws of chemistry and physics that operated here to produce an intelligent species that could look up and explore, whether they did it elsewhere. It seems to me quite reasonable that given similar conditions - and we can't actually define how similar they have to be - but given similar conditions, chemistry and physics are going to work out the same way, and so I'm not lonely, I'm just curious. TARTER: Suppose that within this solar system, when we have the capability, we detect that life originated somewhere else in this one tiny planetary system right, a second Genesis. Well, that tells you that life is going to happen everywhere where conditions are anywhere similar. We're going to know that life is ubiquitous. Some day in our future, as humanity, we may in fact venture to the stars - if that is possible - and we may detect life that way, or detect intelligent life that way. There's a great adventure awaiting us and I think that we should embrace it and not be frightened by it. RAZ: Astronomer Jill Tarter. She ran SETI for a decade. In 2009, she won the TED prize, a grant of $100,000, to help her expand her search for life beyond Earth. To find out more on about how her search is going, visit TED.npr.org.